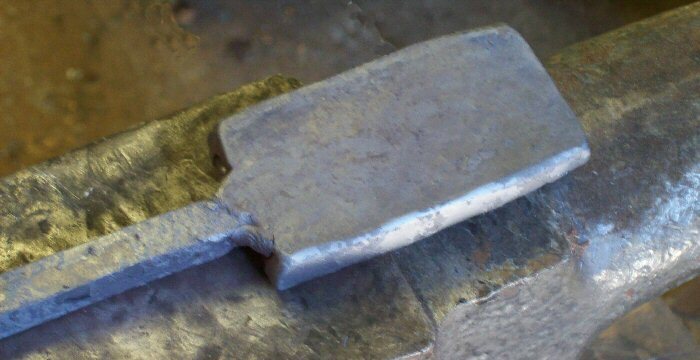 Custom hand forged blades. Fixed blade knives. Champagne sabres. All our blades are selectively hardened to ensure keen durable cutting edges while retaining strength and flexability in the blades. Pin bearing cut in half and square bar handle welded to it. The bearing is heated in the forge to forging temperature. Forged into a flat rectangular billet. Drawn out to the correct length and thickness. Handle removed. Forged out tang and basic profile. Blade bevelled to a thin point. Blade hardened. Note black colour left by quenching oil. Blade after polishing and etching. 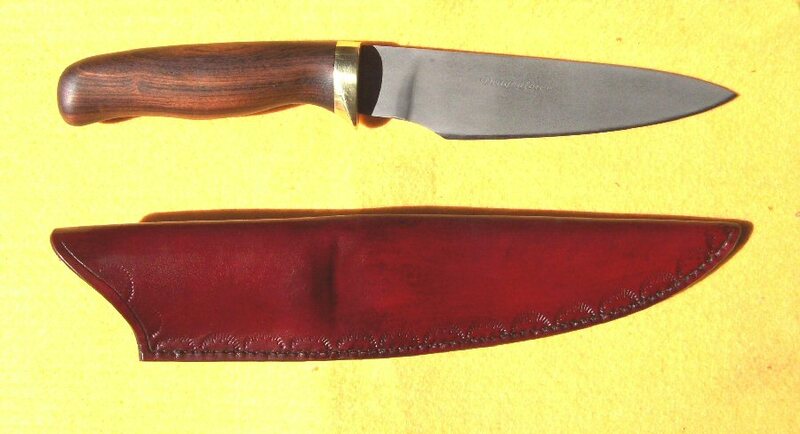 Handle material (Sickle bush) and brass bolster fitted.